For twenty years, master pain therapist Ming Chew has treated scores of patients with his method. It doesn't mask or “manage” your pain. Unlike traditional medicine, it works by targeting the fascia to permanently fix your underlying problem, not just mask symptoms. 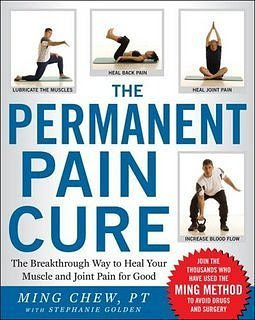 Hydrating, supplementing, and stretching and strengthening the fascia are the keys to The Permanent Pain Cure. The best part? A typical therapy session lasts only fifteen minutes and can be done in your living room. Try the Ming Method yourself and reclaim your quality of life, your freedom of movement, your joy--and do it in as little as fifteen minutes a day. Your pain-free life begins today!